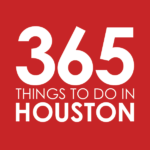 With the largest shopping mall in Texas, over 700 retailers lining the streets, and ample opportunities to wine and dine, this high-end district is the shopping mecca of Houston. And with the shops, come plenty of restaurants offering fantastic takes on the classic brunch. Note: For the purposes of this list, the Galleria and Uptown are defined as the area bound by South Voss to the west, I-610 to the east, Woodway to the north, and Southwest Fwy to the south. Caracol – The sea-kissed sibling to Montrose’s Hugo’s, Caracol offers an edible tour along the Mexican coasts. And just like big brother Hugo’s, the restaurant puts on an extravagant Sunday brunch buffet ($37 per person, $12 per child). Dive into cocteles and ceviches, seafood-stuffed poblanos, empanadas, enchiladas, chilaquiles, tostadas, chile rellenos, and a bounty of offerings from the sea. Just make sure to save room for the incredible desserts from pastry chef Ruben Ortega. Sunday 11am to 2:30pm. An a la carte brunch available on Saturdays. Click here for directions. Dish Society – With a focus on farm-to-table eats, Dish Society’s brunch offers everything from strawberry and candied pecan gristmill pancakes and the house-favorite brisket and sunny-side eggs (served with smoked grits and a house buttermilk biscuit, of course) to Gulf shrimp tacos with fresh roasted corn pico. Wash it all down with energizing juices, mint lemonade, and virgin mojitos; or go boozy with wines, spritzers or the “bromosa,” a bubbly and Karbach Weisse Versa cocktail with orange and lemon. Saturday 7am to 3:30pm; Sunday 8am to 3pm. Click here for directions. La Table – Be transported to a Parisienne café through quiche du jour, orange blossom French toast and pastries like buttery pain au chocolat and brioche gourmande (with apple and cinnamon); but if you want to keep your feet planted in Texas, you’ll find slow-cooked carnitas and eggs and corn and jalapeño kougofs equally as satisfying. Cocktails include bellinis, mimosas, sparkling sangria royale, and the Table 75. Click here for directions. Peli Peli – With a colorful LED canopy set above the space, sitting in the dining room at Peli Peli is a worthwhile experience on its own. And then there’s the food. Brunch on South African-inspired plates like chicken schnitzel and deep-fried waffles with golden syrup, prawn cakes, filet eggs benedict with spicy peli peli sauce, prawn cakes and biltong bloody marys made with South African beef jerky. Saturday and Sunday 11am to 4pm. Click here for directions. True Food Kitchen – If you’re looking for a brunch that will refresh and energize instead of overstuff, True Food Kitchen is your new, all-natural and organic jam. Not only is the nutrition-driven eatery, and the entire menu for that matter, legitimately doctor-approved, it’s made from-scratch and packed with flavor. 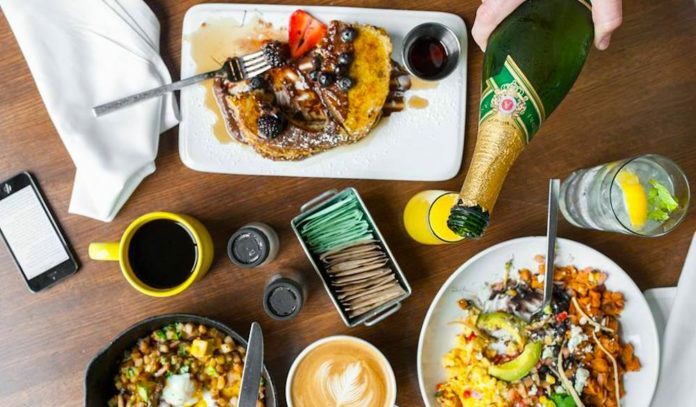 Brunch cocktails feature fresh juice and clover honey, and there is a lineup of teas, juices, smoothies, and refreshers to keep you quenched as you nosh on smashed avocado toast, quinoa Johnny cakes, butternut squash pizzas, ancient grain bowls, and grass-fed umami burgers. Plenty of the options are vegan, vegetarian, and gluten-free, as well. Saturday and Sunday 10am to 4pm. Click here for directions. Other great options – Hit the new Beaver’s Westheimer for a “dam good breakfast” featuring Texas-sized breakfast burritos, shrimp, crawfish & grits, and bacon-infused bloodys; get daily breakfast skillets, scrambles, and multigrain pancake stacks at Adair Kitchen; and enjoy croque monsieur and coq au vin at Etoile Cuisine et Bar.